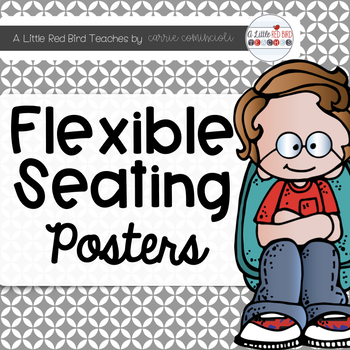 This unit includes flexible seating posters that can be used to implement flexible seating in your classroom. 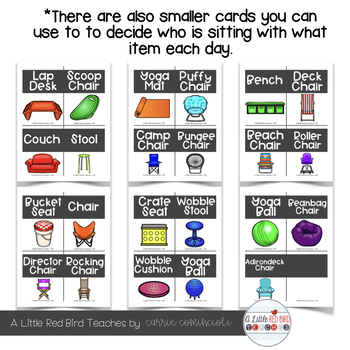 Includes posters that can be used all year and small cards that can be used for student choice. I put these on my white board and students sign up for where they want to sit for the day. 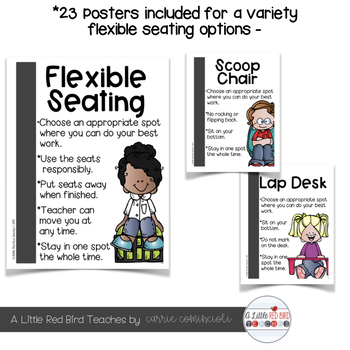 It's a great way when you start implementing flexible seating for students to get a choice to use all different options. I have also created Flexible Seating Brag Tags. 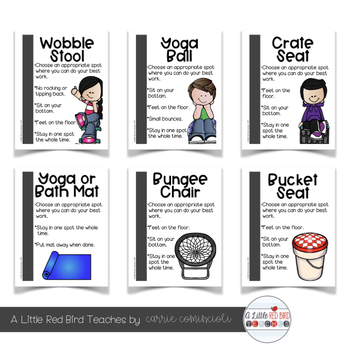 Please be sure to check out my blog A Little Red Bird Teaches for more ideas and freebies!